The reason for morning sickness hasn’t quite been determined, but many pregnant women with the condition know it’s not necessarily limited to the morning hours. Nausea typically creeps up around the sixth week of pregnancy and lasts through the first trimester, but some women can feel its effects through the entire pregnancy. Settle your stomach with some foods that can help stop the nausea and vomiting for an easier pregnancy. If you can find products that contain ginger in its natural form, it could help curb nausea and vomiting. A study published in 2009 in “The Journal of Alternative and Complementary Medicine” determined that a daily total of 1,000 milligrams of ginger per day in a capsule form can help decrease pregnancy nausea and vomiting. University of Maryland Medical Center recommends talking to your obstetrician before using ginger to stave off nausea. 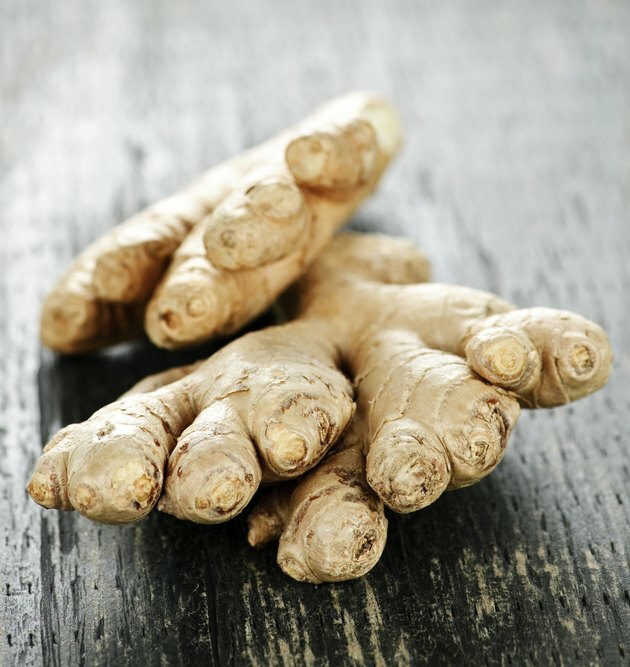 If it’s allowed, fresh ginger root can be steeped in tea or baked into gingerbread or ginger snaps. However, before sipping on ginger ale, ensure that real ginger is among its ingredients. Sometimes, the sickness can be so bad that even the thought of drinking fluids makes you feel nauseated. 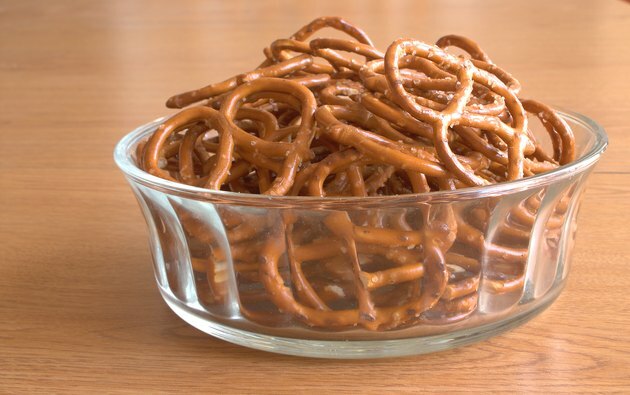 However, dehydration can cause further sickness, so foods that are mildly salty -- pretzels or crackers, for example -- can help stimulate your thirst. The carbohydrate content can also help settle your stomach. Follow it up with plenty of water or foods with a high water content, including melons, grapes, celery or pears. Pregnant women are predisposed to retaining water and swelling, so you don’t want to go crazy with the salty foods. The salt can also replenish minerals lost through vomiting. Morning sickness often occurs in the early hours because of a lack of food in your stomach. 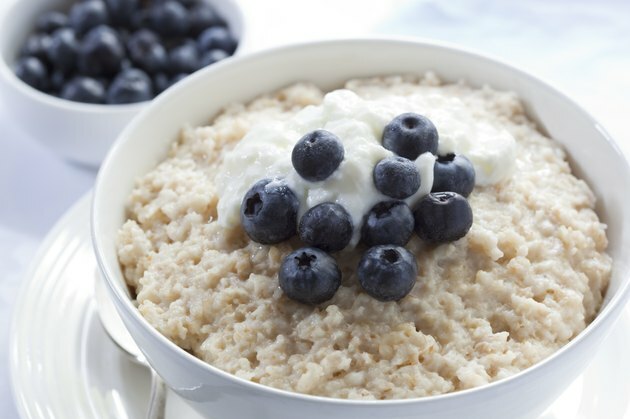 To help avoid this, eat one last meal before bed that contains complex carbohydrates such as oatmeal or whole grains. This digests slowly, meaning you’ll be less likely to wake up with an empty stomach and feeling sick. You can also consume dairy products -- natural antacids -- to neutralize stomach acids that can leave you feeling nauseated come morning. Even though nutrition is important when you’re pregnant, regular nausea can mean you don’t feel like eating at all. It’s better to eat a small amount of the foods that do appeal to you instead of avoiding food entirely because healthier options make you sick. Try not to skip meals, as an empty stomach can lead to further sickness. 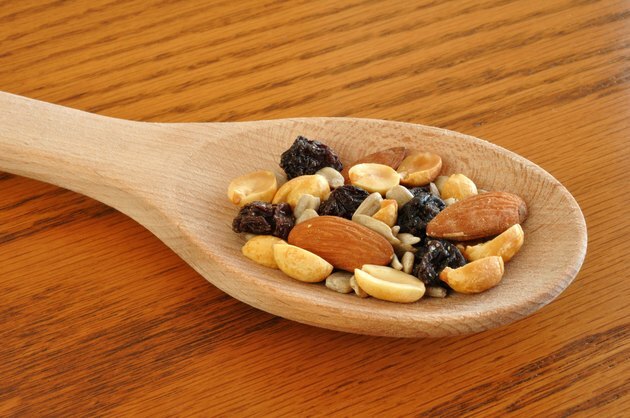 Keep some crackers or trail mix on your nightstand for when you wake up in the morning -- or if you wake up in the middle of the night. Nibble on them while you lie in bed to stop the queasy feeling before it even starts. Is There Such a Thing as Night Sickness While Pregnant?